New Release By Elle Carpenter! Travianna Records is pleased to announce the release of the multi-talented singer/songwriter/actress Elle Carpenter’s album Sincerely Yours. Elle has been immersed in folk and acoustic music since she was a young girl. Raised in Vermont, her mother taught her a love for music and self expression that’s evident in her work. Elle is a familiar face in Americana music and is thrilled to bring fans her fifth album and debut project with Travianna Records. Sincerely Yours is filled with original music featuring Elle’s heartfelt lyrics and sincere vocal delivery. The album includes two songs with co-writters: “Brave Girl” (co-written with Jeremy and Julian Wright) and “It’s Only You” (co-written with Iggy Elisavetsky). The one exception to the original music is Elle’s recording of the iconic folk favorite “Teach Your Children” written by Graham Nash. The album was recorded at the revered Mountain Fever Studios and is produced by Aaron Ramsey of Mountain Heart. It showcases the instrumental talents of Elle Carpenter playing guitar and piano as well as Aaron Ramsey on mandolin, Jeff Partin on bass and dobro, Seth Taylor on guitar, Brian McDowell playing fiddle and Scotty Lund on Drums. Harmony vocals are provided by Elle, Aaron Ramsey and Jeff Partin. Elle will be on a vigorous tour all over the U.S. promoting her new album including album release parties in her home states of Colorado and Vermont and shows in Los Angeles and New York City. Listeners can download her album on iTunes, Amazon and anywhere great music is sold. 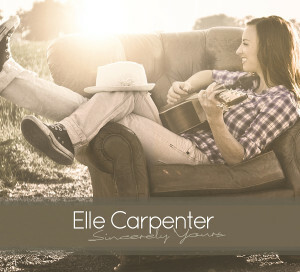 For more about Elle or her tour please visit www.ellecarpenter.com. Travianna Records Nominated For 2 IBMA Best Graphic Design Awards!! The IBMA announced the Special Awards nominees this morning. Ash Breeze and Delta Reign were both nominated for Best Graphic Design. 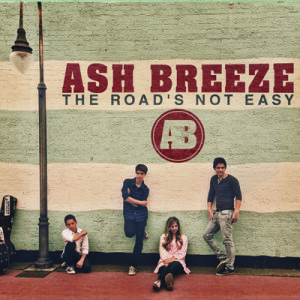 Anthony Ladd of Kneelindesign was the creator of the artwork for the Ash Breeze album titled The Road’s Not Easy. 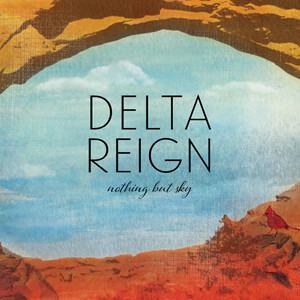 The graphic work for the Delta Reign’s recording Nothing But Sky was designed by Jennifer Peck. The winners will be announced during the World Of Bluegrass Special Awards Brunch in Raleigh this September. Congratulations to the bands and the artists.